Samson Lehman shows a tattoo he had done in remembrance of nearly dying after he was made to exercise at Teen Challenge in Bonifay, Florida. Kids workout on sand at the Southeastern Military Academy in Port St. Lucie on September 19, 2012. "Colonel" Alan Weierman, who runs the school, which is among the most troubled unlicensed homes in Florida. Since the mid-1990s, the state has investigated more than 30 allegations of mistreatment and found some evidence in at least 19 cases. After The court papers filed Friday against the academy note two 2012 abuse investigations that until now had not been public. In one, DCF workers "verified" that a child suffered a bone fracture at the academy. No further details were available. The second case ó involving a child allegedly kept in leg restraints for a week ó remains under investigation. Without immediate action to close the home, children face "immediate, irreparable injury or harm," DCF wrote in its petition filed in St. Lucie Circuit Court. 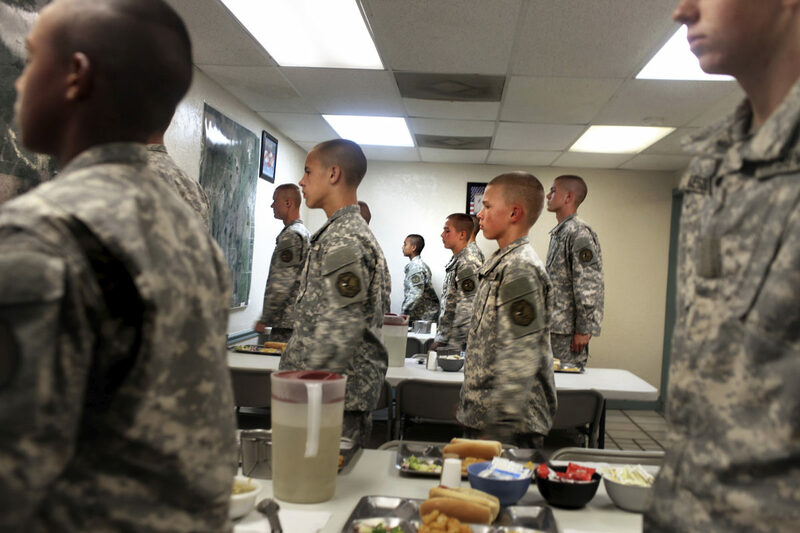 Children march to their seats for lunch at Southeastern Military Academy in Port St. Lucie on September 19, 2012. 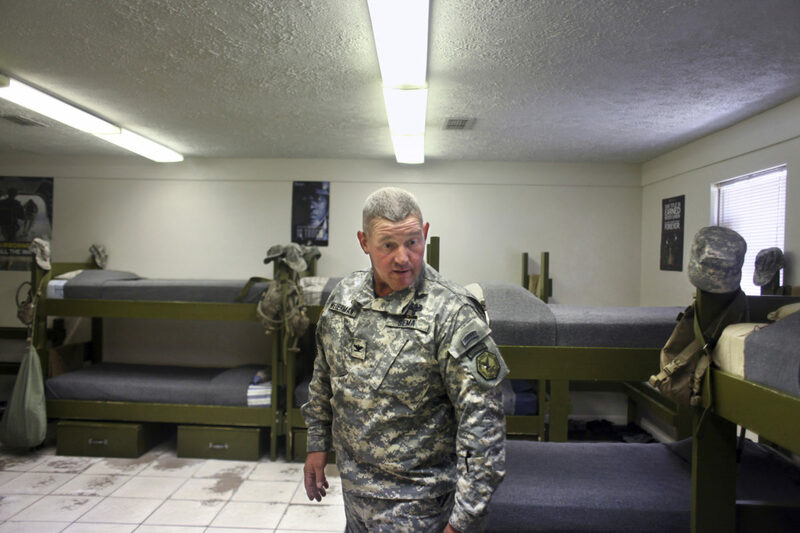 "Colonel" Alan Weierman, gives reporters a tour of where the boys sleep at the Southeastern Military Academy in Port St. Lucie. While Weierman refers to himself as "Colonel", he is not a member of the military. He is the president or commanding officer of the academy. He has denied that he or his program are abusive. "Child abuse requires intent to commit harm," he told the Times in an on-campus interview. 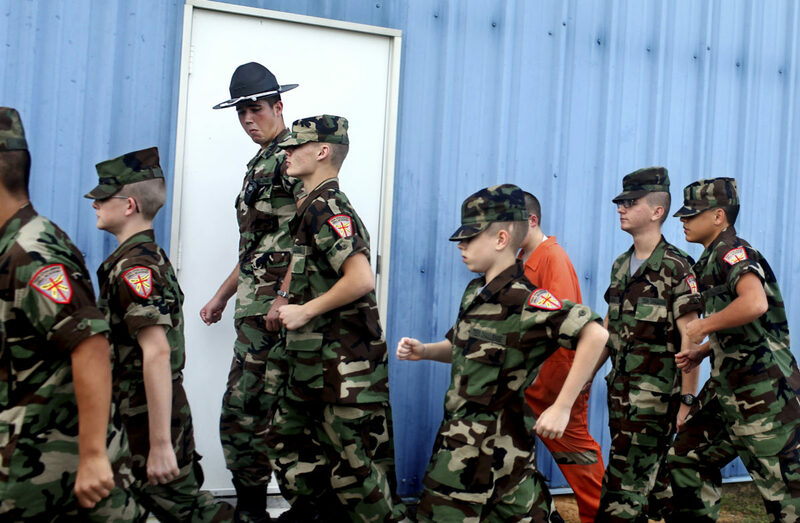 Children line up before they go outside to exercise at the Southeastern Military Academy in Port St. Lucie. Girls walk to a church service at Lighthouse of Northwest Florida in Jay, Florida. 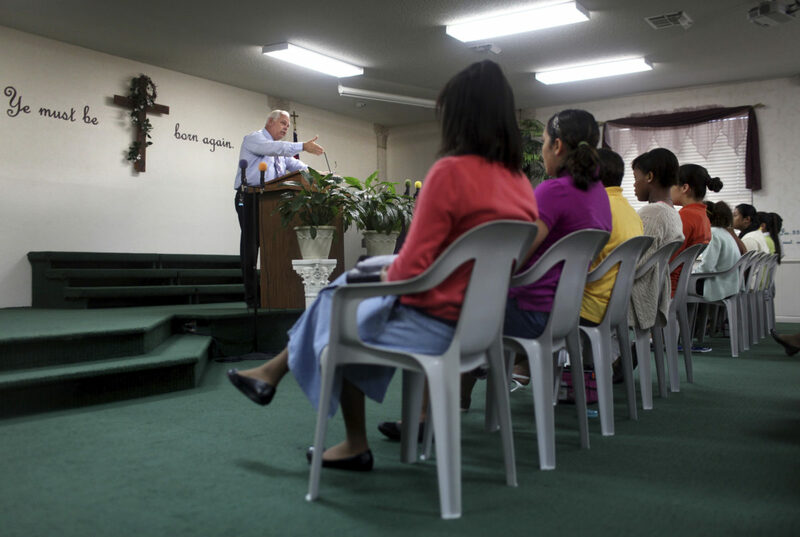 Girls listen to a sermon during a church service at Lighthouse of Northwest Florida in Jay, Florida. At this Christian reform school, teen girls are not allowed to wear pants and can be punished for looking someone in the eye at the wrong moment or for using words like "yeah" and "cool." The state has investigated Lighthouse for abuse 13 times. It found evidence only once, of inadequate supervision. Girls at Lighthouse may go for months unable to contact their parents. Bad behavior sometimes lands them in the ìRoom of Grace,î a small, barren room where children are kept in isolation almost every waking hour. Four former students interviewed by the Tampa Bay Times said they knew of girls sent to isolation daily for more than a month ó an allegation school officials deny. Head Pastor Russell Cookston said girls are confined for days, never weeks. A dozen recent residents interviewed by the Times also described a system of discipline in which girls are called upon to physically restrain other girls by tackling and pinning them to the ground. They call it ìflooring.î The pastor says peer involvement in restraint is minimal. 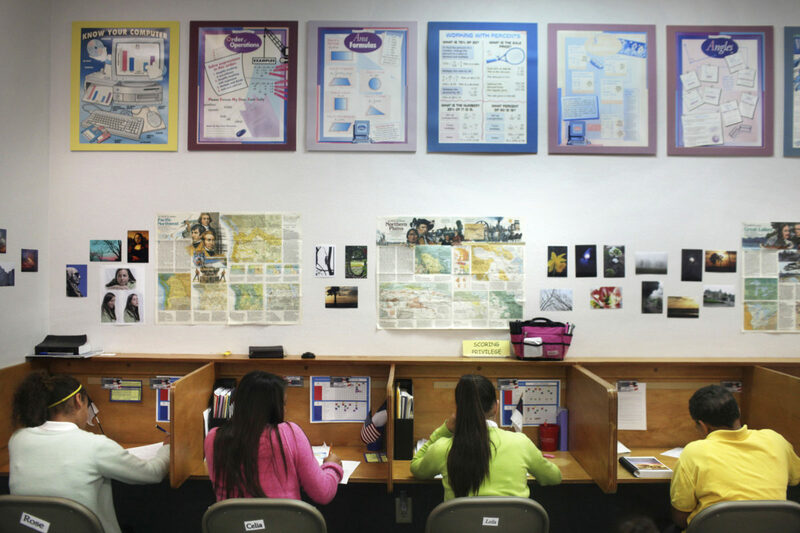 Girls do school work at Lighthouse of Northwest Florida in Jay, Florida. 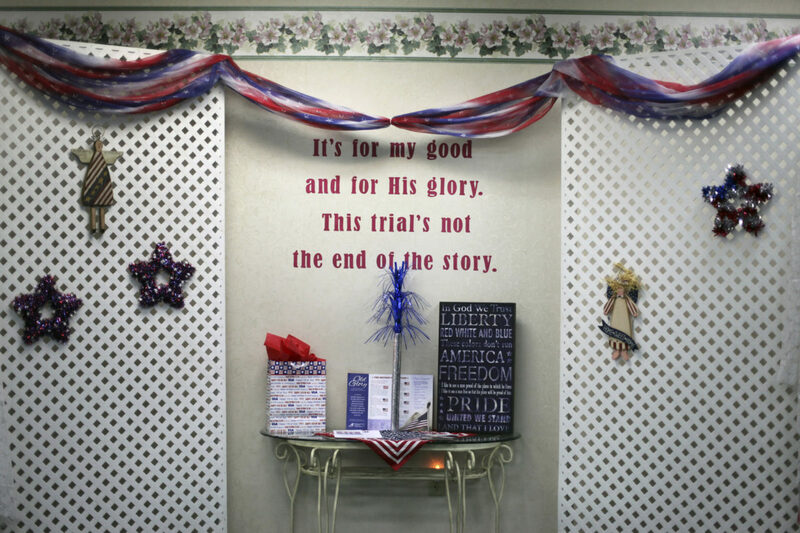 Decorations in the cafeteria of Lighthouse of Northwest Florida in Jay, Florida. 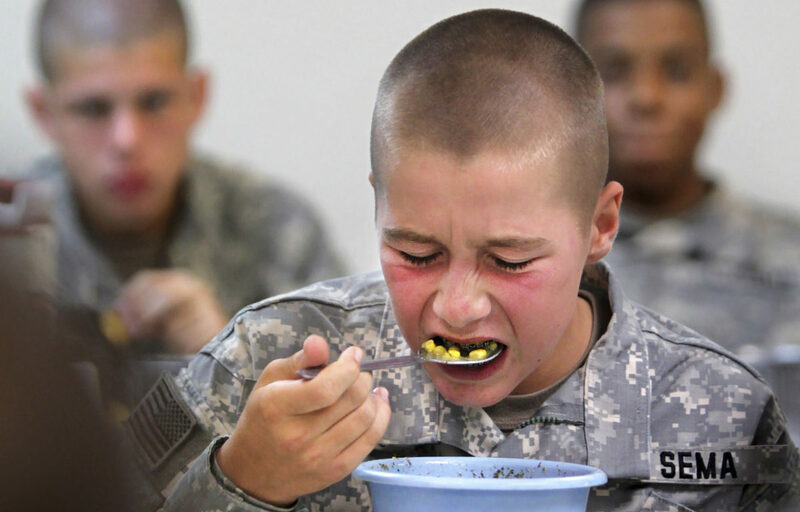 This military school for troubled boys, connected with the international Teen Challenge network, was founded in 1998 by Dave Rutledge and accredited by FACCCA until 2006. 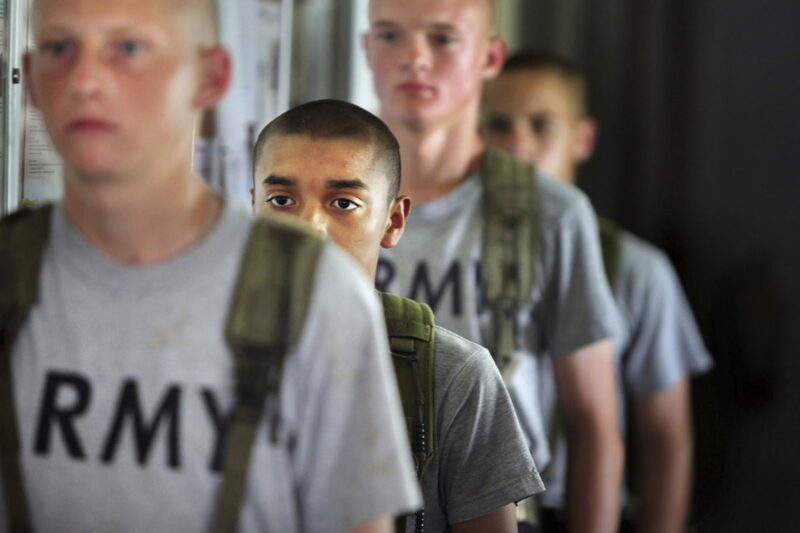 Boys are initiated into the program with in-their-face directions from drill instructors and heavy doses of exercise. They must earn their way out of the orange jumpsuits they are given on Day 1. In 2008, 15-year-old Samson Lehman was exercised until his body gave out. He was flown to a hospital with organ failure, on the verge of death. Director Rutledge says the school has changed the way it exercises its new students since then, hired a registered nurse and now requires metabolic panels of incoming boys. The school allowed Times reporters to interview four parents with students enrolled in the program, but only in front of staff, and only as a camera rolled. All parents said they had noted positive changes in their sons. As boys advance in the program, they gain privileges. They participate in sports and take trips to Guatemala. The school enrolled to seek accreditation from the Council on Accreditation a week before this Times investigation published. 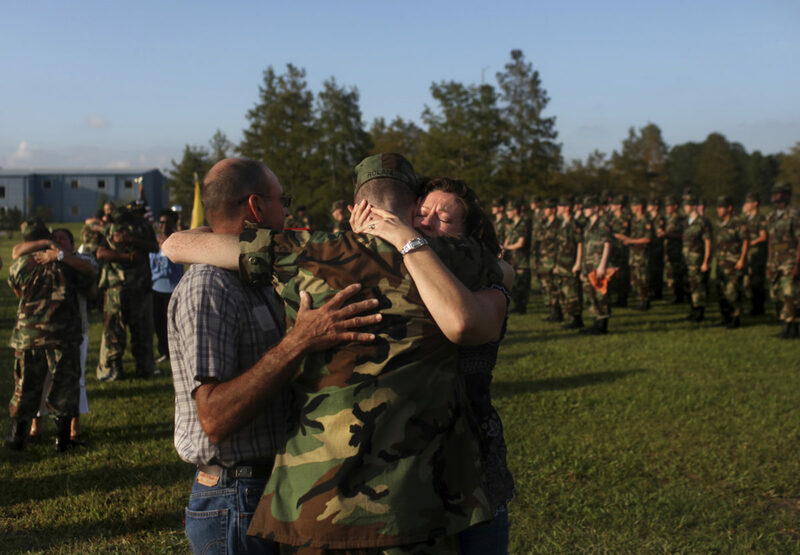 Michael Roland and his wife, Earlene, of Greenville, embrace their son, Chase, after a graduation ceremony at Gateway Christian Military Academy in Bonifay, Florida. 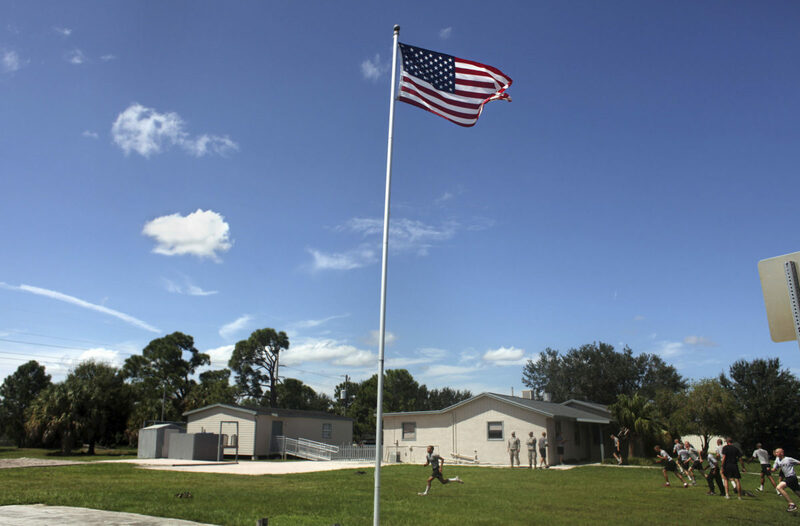 Boys run across the yard in front of the Southeastern Military Academy in Port St. Lucie. Drill instructor Jacob van Buren watches as boys march out as they prepare for a ceremony at Teen Challenge in Bonifay, Florida. 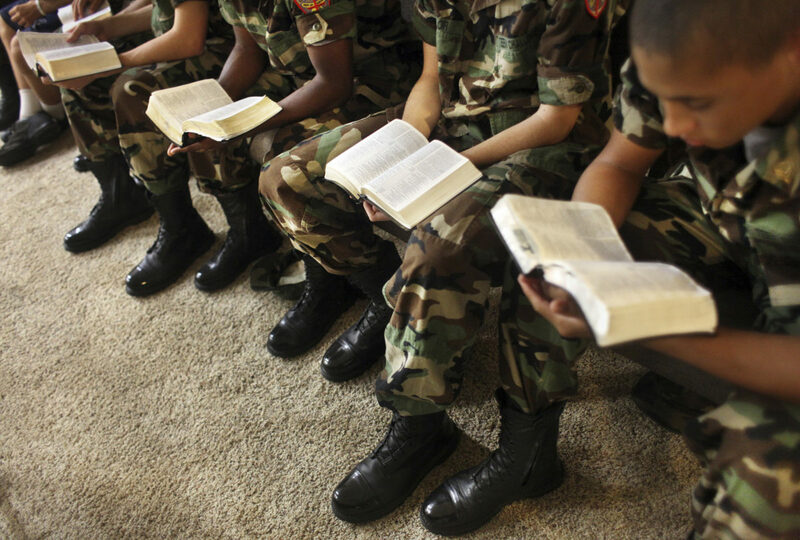 Boys read from their Bibles during a church service in Bonifay, Florida. 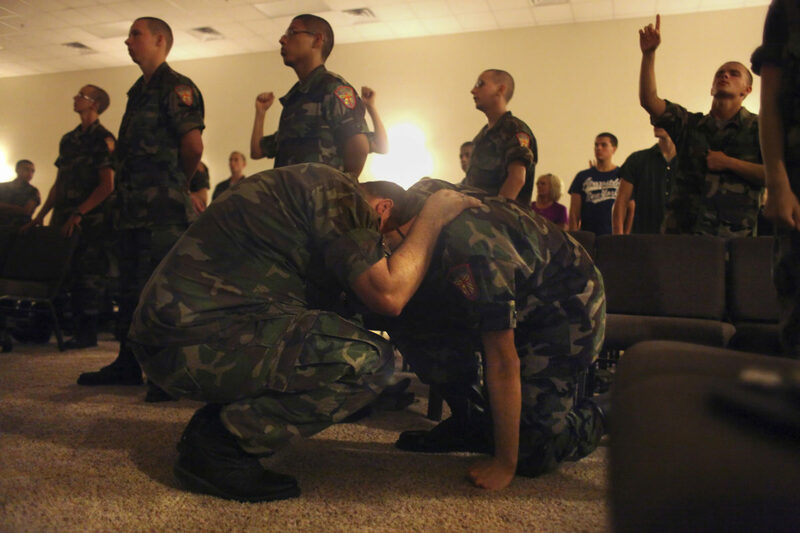 A drill instructor prays with a boy during a church service at Teen Challenge in Bonifay, Florida. 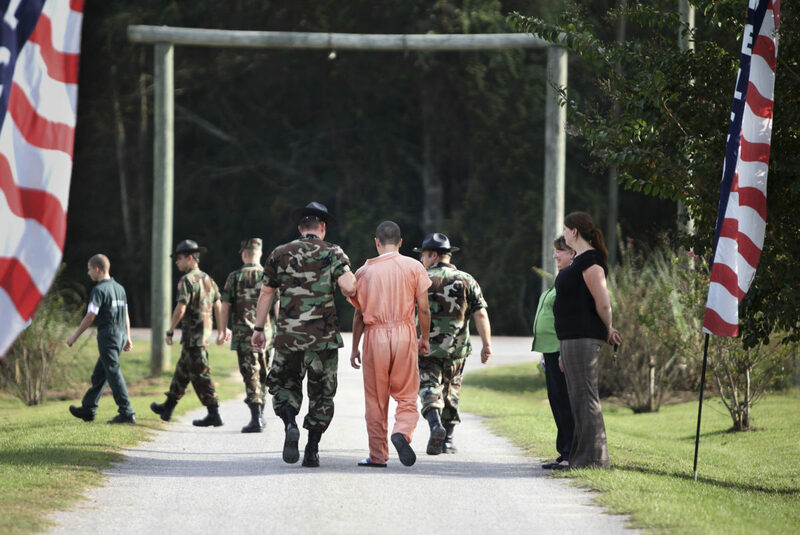 They shaved him bald that first morning in 2008, put him in an orange jumpsuit and made him exercise past dark. So when Samson vomited, they threw him a rag. When his urine turned red, they said that was normal. By Day 3, the 15-year-old was on the verge of death, his dehydrated organs shutting down. Slumped against a wall, cold and immobile, Lehman recalls men who recited Scripture calling him a wimp. And he thought: Maybe, if I die here, someone will shut this place down. Not in Florida. 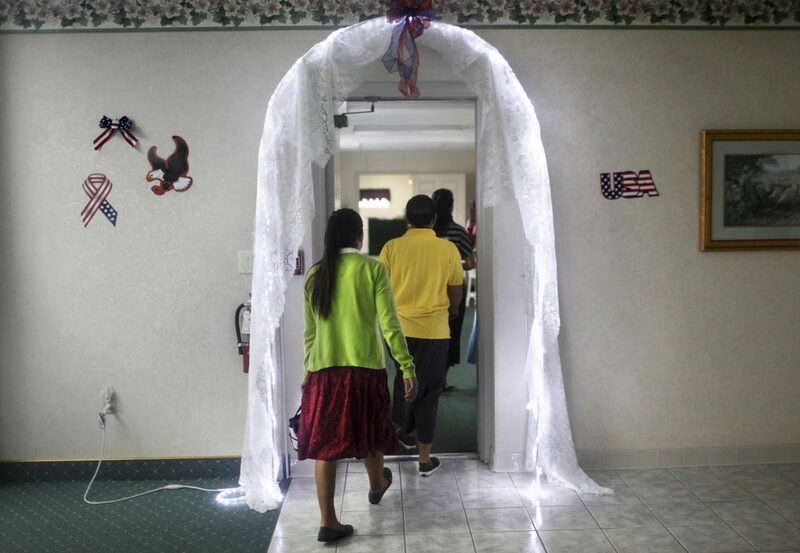 In this state, unlicensed religious homes can abuse children and go on operating for years. Almost 30 years ago, Florida legislators passed a law eliminating state oversight of children’s homes that claim government rules hamper their religious practices. Today, virtually anyone can claim a list of religious ideals, take in children and subject them to punishment and isolation that verge on torture – so long as they quote chapter and verse to justify it. An excerpt from Alexandra Zayas’ chapter 1 of “In God’s Name” an investigative project by Zayas and Kathleen Flynn for the Tampa Bay Times.